Bill Clinton "cake" tweet: Wait until the First Lady's not looking, indeed. 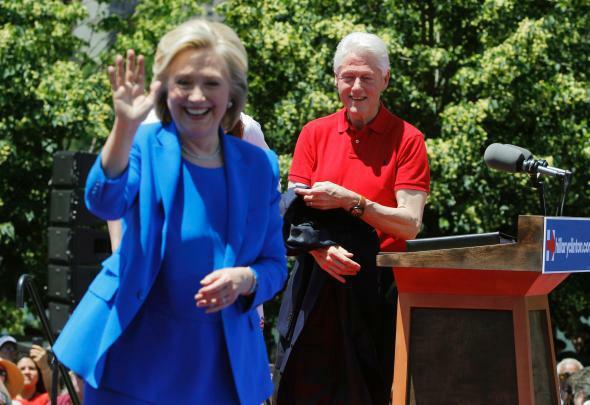 The Clintons at Hillary Clinton’s official campaign launch in New York in June. It’s true—sometimes you can sneak a little “cake” when your wife’s not looking. But eventually she’ll find out what you did. She always does.